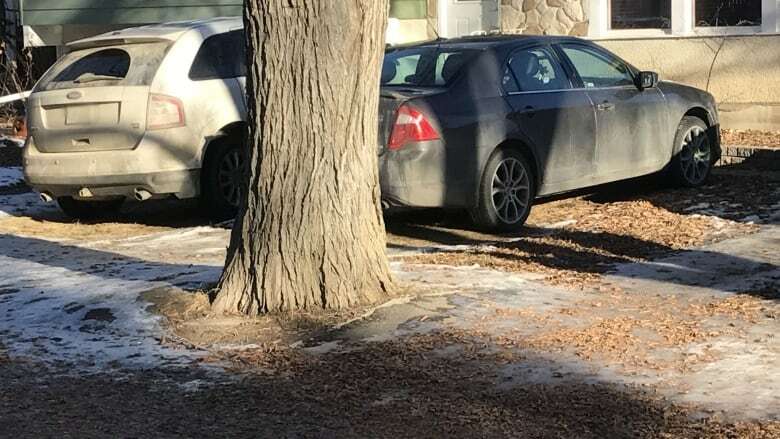 Fines starting at $250 could be coming for Regina property owners who have vehicles parked on their lawns instead of designated parking areas like a driveway. Regina's community and protective services committee met on Thursday to recommend that city council approve an amendment to The Regina Community Standards Bylaw to introduce the escalating fine structure. The city said in a report it gets about 300 complaints a year related to parking on front lawns, whether it be vehicles actually parked or development of driveways. The initiative would also be complaint-based. "I think the issue is that the concerns I've heard is that it's unsightly," said Lori Bresciani, Ward 4 councillor and member of the committee. Cars on lawns: Your right or just a blight? "People want people to park on their driveways, not on their lawns." Only 10 per cent of those claims actually require any sort of further enforcement. There's no violation about 40 per cent of the time and the other 50 per cent of the time, complaints are resolved voluntarily. Under the amended bylaw, vehicles would only be permitted to park in driveways on the lot, approved parking spaces, carports or legal parking pads. Parking spaces in the front yard would not be able to exceed 22 square metres in size. "Everybody wants a nice neighbourhood and sometimes I think, the calls that I've had, is that they're very upset with the city that we can't do anything about it," Bresciani said. "And right now with the way the bylaw is we can't do anything about it." If someone is found to be in violation of the proposed amendment, a notice would be issued to the homeowner letting them know how they're in violation, how they can comply with the law, when the deadline for compliance is and what a potential punishment would entail. Upon a second inspection, if the situation has not been remedied, a ticket and an order to comply would be issued. Those ticketed would have 15 days to appeal. If there is a third inspection and there is still no solution, the city would tow the vehicle to an impound lot.